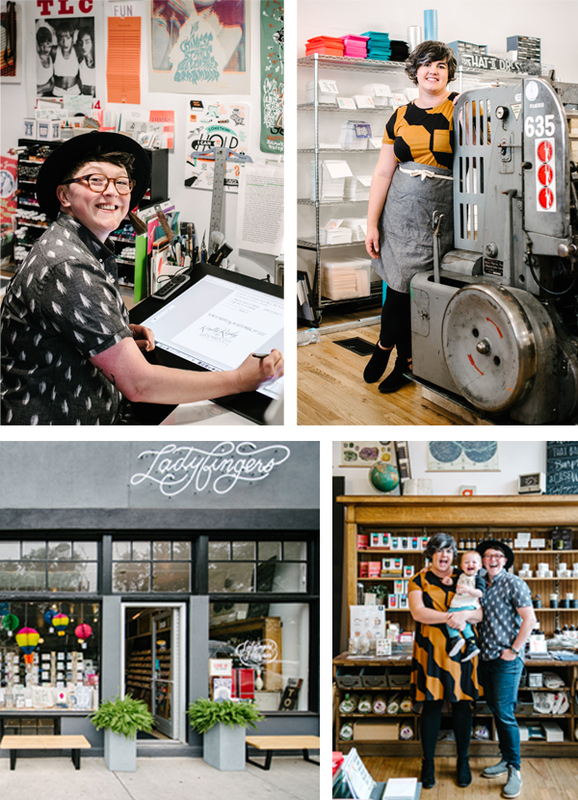 For this edition of our City Series, from the peaks and presses and the outdoors to the Olympians, Ladyfingers Letterpress owners celebrate their energetic community of Colorado Springs. Arley-Rose and Morgan call The Springs home amidst the bluffs and beauty. They give us some insight into reaching the summit both in the mountains, and in the artistic and progressive culture around them. Come along as they share their favorite places to chill out, drink down, and read up. COMING HOME We’ve officially been here since July of 2014, but my wife and co-Ladyfinger Morgan Calderini is from here, so she’s cumulatively been exposed to this Rocky Mountain air for longer than I have. In 2013, a wildfire demolished her family home while we were living in Rhode Island, so we moved our business – presses and all – out here a year later to be closer to her family as they rebuilt their lives. Daily Life As proud parents of a pretty darn adorable year and a half year old, we see the daycare a lot! Because let’s be real, we both work and the kid isn’t gonna change his own diapers. Yet. Now that you know that we’re parents to a tiny human, you probably won’t be surprised that we don’t get out much during the rest of the week. Aside from the basic staples – the grocery store, Fedex, the liquor store, you know, JUST THE ESSENTIALS – we try to squeeze in a hike on our time off. 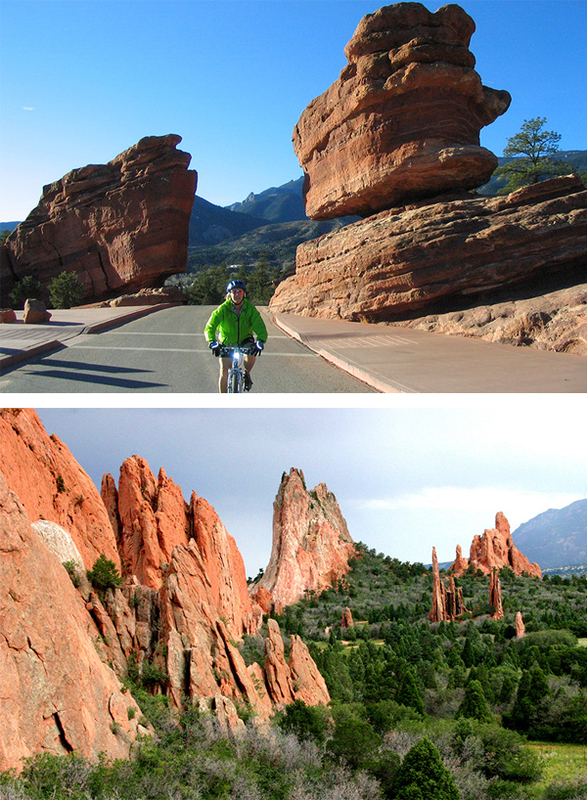 Luckily, natural beauty surrounds Colorado Springs, so a gorgeous and secluded nature hike is only like 5 minutes away. Growing City for Sharing the Printing Love It’s a really easy place to live! I know that’s not really a letterpress-related answer, but as a general rule, being in a city where it’s easy to live and raise a family makes it easier to run a business, thus making us happier and more productive people overall. It was not so easy – on the other hand – to find a studio at first. We found ourselves constantly competing with the Medical Marijuana (MMJ) industry to find affordable light industrial space. Who knew that stoners and letterpress printers had so much in common? We finally found a studio that had a nice retail presence, so we opened up a little store in the front of our letterpress shop. People were able to come in to buy a card or a gift and see the presses at work in the background. Many people didn’t know what they were (a lot of people assumed they were just heavy props to make our space look cool or something? ), but it also made people more curious about printmaking so we started to offer classes and workshops. 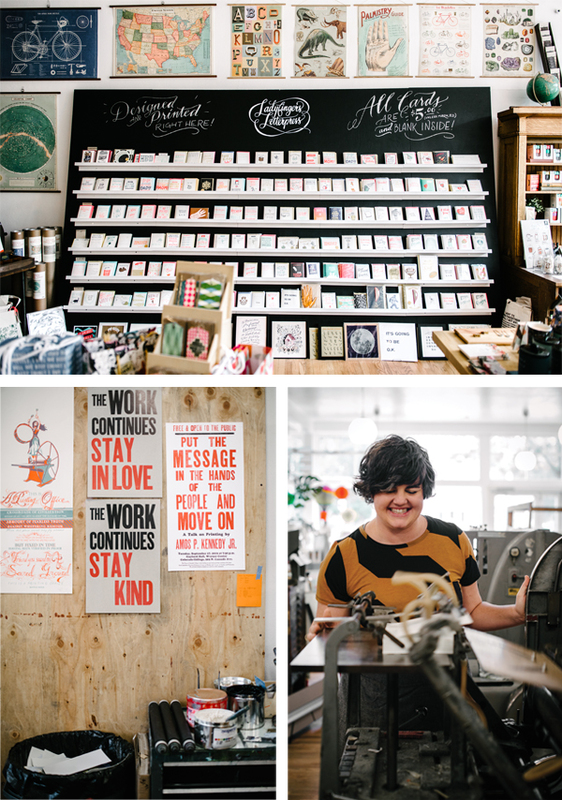 Having a retail storefront has been a great way to share our passion for letterpress with the community and educate people about this craft we love so dearly. Melding of Minds and Resources Being involved with our local community is a critical part of Ladyfingers Letterpress’ vision. We see the hustle and experimentation of our fellow artists as something we try to engage with and support as often as possible. From selling local artisans’ work in our store (and even collaborating with them on some new products) to inviting visiting artists to teach classes and workshops, we are always searching for ways that we can uplift the craft of the people working alongside us in as many ways as possible. A lot of people expressed interest in buying these posters, so we offered to handle the logistics of sending them out into the world by managing all the inventory and shipping, and tracking each sale so that 100% of the proceeds would benefit The ACLU, the Southern Poverty Law Center, the NAACP, Inside/Out Youth Services in Colorado Springs, and the Black Educators Network in El Paso County, CO. Pop Goes The Color Ladyfingers Letterpress prints exclusively from polymer plates, which allows us to print our hand-lettered weirdo illustrations in neon inks on thick, cotton paper. Morgan handles all the expert letterpress printing and I do all the illustrations, and together we have a style that is distinctly Ladyfingers. Fav People & Mutual Love We love our paper rep, Julian from Spicers Paper! He not only helps us find the perfect paper, but he also occasionally brings us lunch and in return we shower him with our undying affection and invite him to our kid’s birthday parties. We also love our foil stamping buddy, JS Letterpress. Charles is always in a good mood, but that could be because he probably just finished a session of aerial yoga which he is also super good at. Victorian Homes And Small Town Feel We love the Old North End, but we’re biased because we live there. Morgan grew up in the north part of town in Black Forest, but when we moved back here after the fire we knew we wanted to be downtown. The streets are lined by huge old trees, well-loved arts and crafts bungalows and Victorian-style homes. Our neighbors care about historic preservation and environmental conservation, and also throw a hell of a neighborhood-wide yard sale every June. Also it’s nice to be able to walk to work! Rubbing Shoulders With a Cast of Thousands Colorado Springs has a reputation for having a high concentration of military personnel and Christian Evangelicals, which is not exactly the cross section that would scream “WELCOME QUEER ARTSY LETTERPRESS PRINTERS,” so I guess what I’m trying to say is it makes craigslist transactions really exciting. What Colorado Springs doesn’t have a reputation for (yet) – and what we were most surprised to discover – is its incredible community of poets, writers, artists and community organizers. 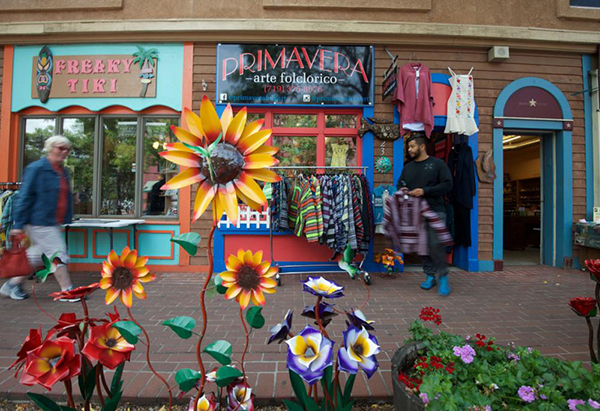 There are two colleges nearby (Colorado College and The University of Colorado at Colorado Springs) that nourish our community with events and culture and supply our workforce with their best and most innovative graduates. You wanna know who else lives here? Olympians. Yes, you heard me. U.S. Olympians. Like, the real-deal gold and silver and bronze medal winners who you watch on TV every 4 years accomplishing super-human feats. People don’t just jog here, they do push-up handstands while sprinting up a mountain. The Colorado Springs Olympic Training Center attracts athletes who are looking to train at high altitude, and a lot of them put down roots here and become part of the community. Then you get to know them and discover they are actually really insanely nice people, and you’re like sitting there feeling proud of yourself that you did 2 miles on the treadmill without stopping. Chance Encounter Seals The Deal We actually moved here because of a random interaction in a locally-owned coffee shop. We had been considering moving to Denver and were driving around both cities to scope them out and to try to get a feel of what neighborhoods we’d like to live in. We stumbled into a coffee shop and the woman behind the counter gives Morgan a curious look and pegs her for a newcomer. Morgan squints her eyes suspiciously, but is also simultaneously kind of impressed, so she replies that we’re considering moving to the neighborhood and we’re letterpress printers. The woman, who was one of the owners of the coffee shop and is now a close friend of ours, demands that we become part of her “30-Something Happy Hour, where we all get together on Friday evenings for dinner and are home and in sweatpants by 9pm.” So that’s how we decided where to live because of a barista who seduced our friendship with a sentence that included dinner plans and sweatpants. The coffee shop is now called Switchback Coffee Roasters, and although our happy hour pal is no longer there, we still love their coffee and egg sandwiches. Not To Be Missed We love supporting our fellow downtown local businesses! 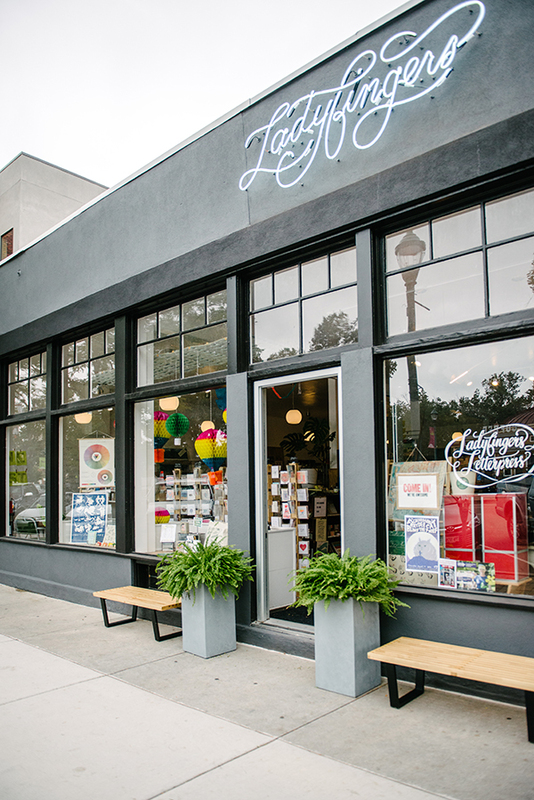 From outdoor gear (Mountain Chalet) to kitchen supplies (Sparrow Hawk Cookware) to books (Hooked on Books) to toy stores (Poor Richard’s – which also sells books and makes pizza and has other rad stuff!) 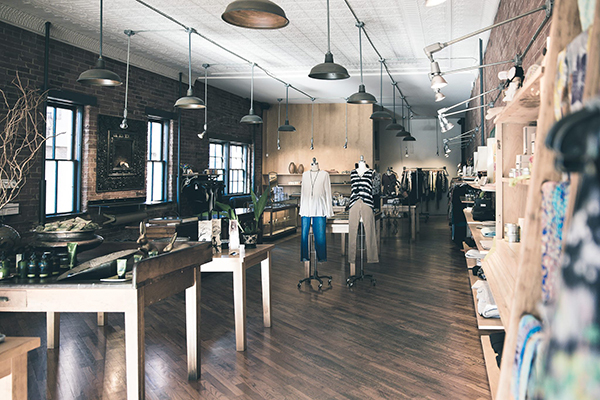 to just excellently tasteful apparel and jewelry (Colorado Co-Op) we are so fortunate to be surrounded by so many other rad and locally-owned small businesses! 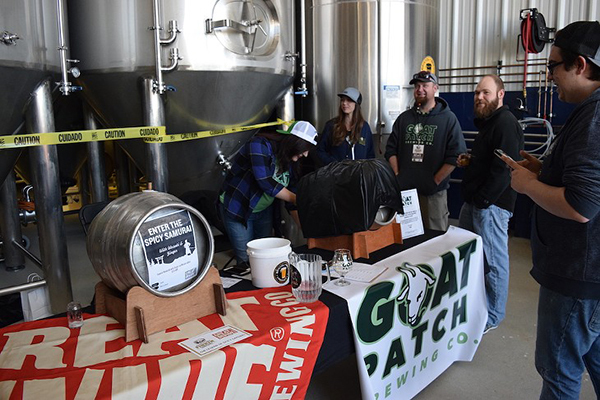 Colorado Springs is also all about brewing! And it’s not just beer! 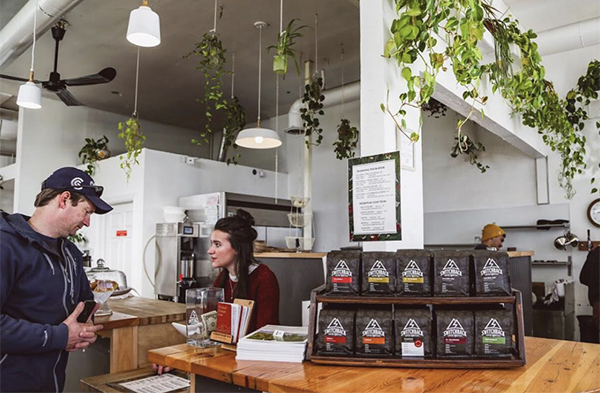 There is a huge craft coffee scene here so don’t you dare get caught with a chain coffee cup in your hand. 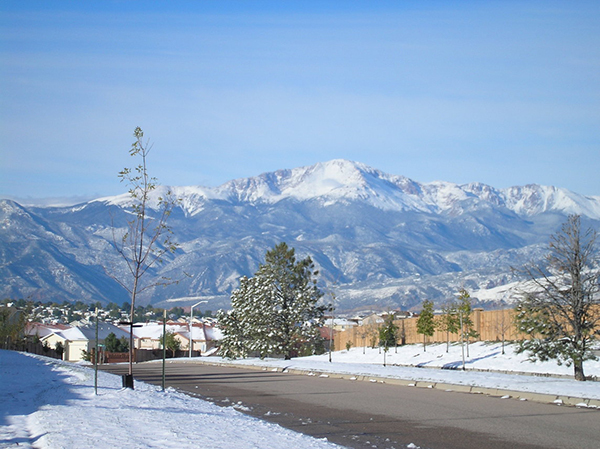 Dynamic Culture With High Peaks View Colorado Springs is FULLLLLL of attractions. 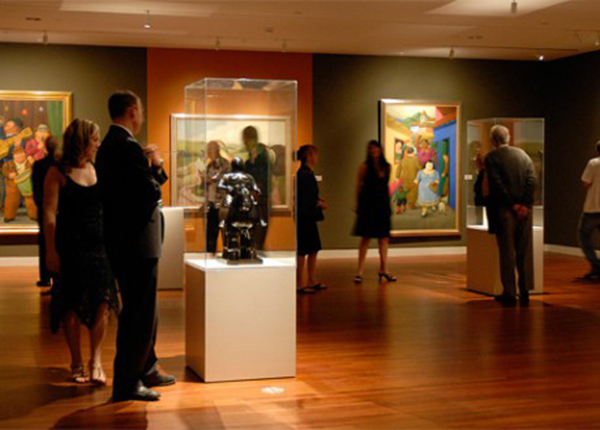 They may not all be cultural (but in that category we give the Fine Arts Center a million thumbs up) but there are still a ton of amazing things to see and do around here. We even made a print to commemorate the sights! 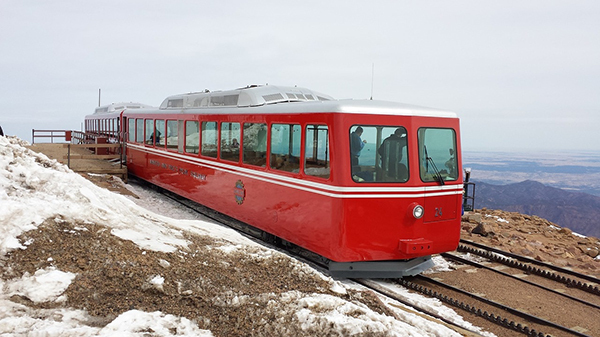 Some highlights include: Pikes Peak (it’s America’s Mountain, y’all! ), Seven Falls (which I recently learned is manmade, but whatever it’s still hella beautiful), Garden of the Gods (which fortunately for us has nothing to do with church), and the Olympic Training Center (go Team USA!). Location, Location, Location When we moved into our space nearly 2 years ago, our neighbors on one side were meth dealers who illegally lived in their unit (they sold t-shirts and bongs, obviously), and on the other side was a row of empty retail spaces that no one wanted because there was no foot traffic on our block. I’m not saying we’re responsible for revitalizing our block, but we definitely got in at just the right time. Fun + Downtime Spots Every special occasion/window of time that we don’t have anything planned we spend it at Sun/Water Spa. They have these incredible cedar-walled mineral spas that have the most grandiose view of Pikes Peak and the Rocky Mountains. They also have yoga and wellness classes and offer massages and spa treatments if you’re fancy like that. If you’re in that part of town, you definitely should also stop by the Manitou Springs Penny Arcade. They have vintage games and attractions – some even still costing a penny or so – that still work and are in amazing condition. A great place to get some cotton candy and a corn dog and play some old-fashioned skeeball. It’s like the Jersey Shore without the Jersey. Or the shore. 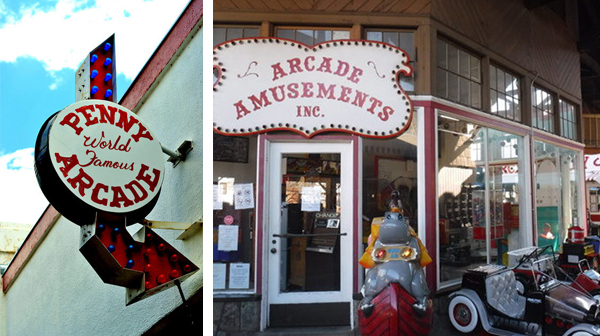 Manitou Springs Penny Arcade – Fall in love with vintage and old-fashioned arcade games. Give the flippers a whirl with the Arcade’s many pinball machines! Nations Museum of World War II Aviation – A magnificent and tucked-away gem in Colorado Springs, the Museum features B-52 bombers to an amazing collection of aircraft memorabilia. Cheyenne Mountain Bunker – The infamous bunker that housed NORAD (Northern American Aerospace Defense Command) in the late 1960s. While the bunker isn’t open to the public, you can drive by it while on the road on Route 115 off of I-25. Bonus fact: the bunker was used for exterior shots in the movies Independence Day, Stargate SG-1, and Wargames. Cheyenne Mountain Zoo – A mountain-nestled zoo that stars a mountaineer sky ride and open-space enclosures/exhibits. Glen Eyrie Castle – Built by Colorado Springs founder, General William Jackson Palmer, this gorgeous English Tudor style castle is a beauty in the mountains. Western Museum of Mining and Industry – Take a trip back in time to explore 19th and early 20th-century pioneer and mining life in Colorado. The Stanley Hotel – A 2-1/2 hour day-trip drive north from Colorado Springs, Estes Park, CO is home to the iconic exterior location for the hotel featured in suspense/horror classic The Shining. 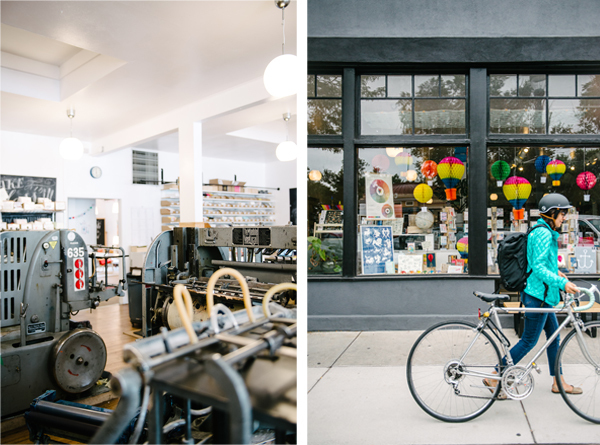 We hope you enjoyed our latest installment of the letterpress city series guide! Interested in shining a spotlight on your hometown? Contact us today! And if you are planning a letterpress-centric trip, be sure to check out the super cool print trip map on Letterpress Commons to find a printer near you! This entry was posted in Ephemera and tagged Arley-Rose Torsone, city, city series, city series letterpress, Colorado, Colorado letterpress, colorado springs, Ladyfingers Letterpress, Morgan Calderini by Cathy. Bookmark the permalink.